Hi there sweet blog friends! I have something to show you that I was working on last week and the week before. I’m tickled if I must say so myself – it’s been on my mind for a long time and I finally sat down and did it. 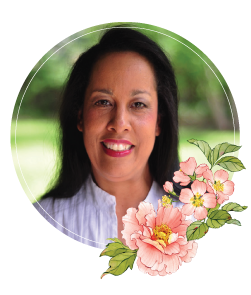 Come have a look see – it’s worth a moment of your time!! So . . . I strongly believe that if you can see it, you’ll use it. 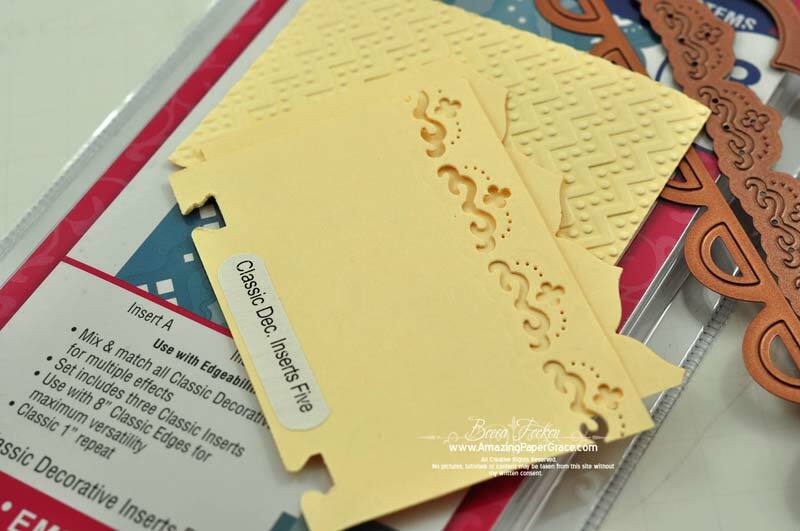 Even though the packaging is smashing, the beauty of both Spellbinders™ Edgeabilities® and Spellbinders™ M-Bossabilities™ are absolutely magical when you take them out of the package and run them through the machine!! I’m a very visual person and find it difficult to work from a two dimensional picture. Voila, once things are out of the box, actual size, real dimension, touchable – they click in my mind. I’ve had this ATC Holder for more than a year (I have two of them) and finally decided that I need to put them within an arms reach with items I’d like to see on a daily basis. In this case I embossed all my embossing folders and cut all my edgeabilities. That way I’ll be able to audition them by pulling each element from the ATC holder and holding them together. So here’s what I did. 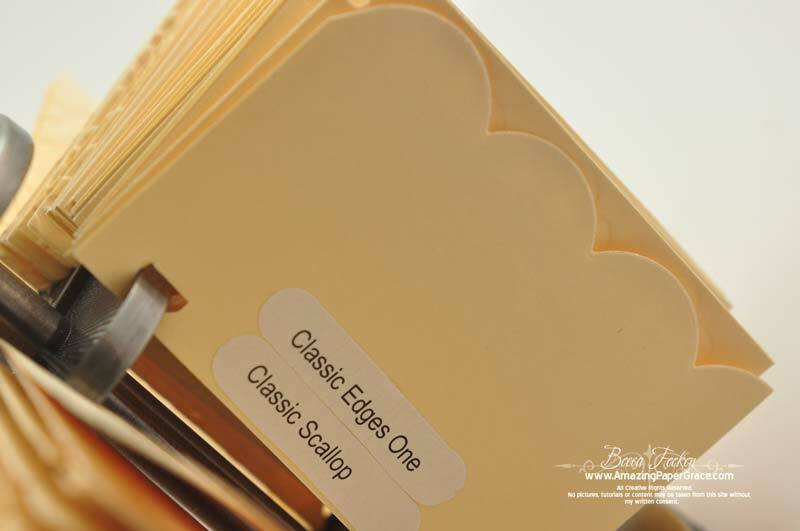 I created labels and embossed each embossing folder, putting a label on the inside edge so that I could quickly identify which folder. I grouped them in alphabetical order (so that I’ll be able to locate them quickly by name if needed) and filed them away in the ATC Holder. Then I cut all the Classic Edges Spellbinders Edgeabilities and placed them in the ATC holder together, inserting a black divider to separate each area. So now I can pull select cards from the file and layer them together to see if they work. I’m always intrigued by the cut out’s and how they look in different situations and with different colors. With this entire mix and match system I can now compose with the decorative inserts, classic edges and texture all at the same time. Like I said . . . if you can see it, you will use it!! 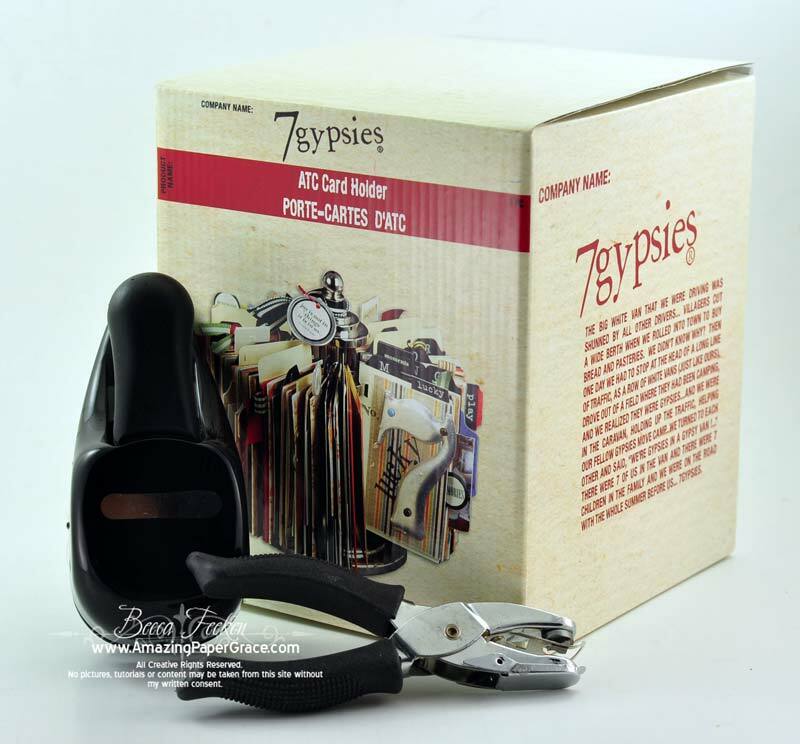 Here are the simple supplies I used – The 7 Gypsies ATC Card Holder, 7 Gypsies ATC Card Punch, 7 Gypsies ATC Blank Cards 7 Gypsies ATC Blank Tabs, Stampin Up Word Punch and the my assortment of embossing folders and Spellbinders Edgeabilities. As time permits, I’m going back to add all my border punches – then I’ll be all set!! I don’t have links but if you google, you should be able to find any of the 7 Gypsies items on the internet! In the meantime . . . I’m checking this off my list!! See you soon!! What a great idea!!! I don’t have this exact model but I also have one of these that i could do the same thing with …. thanks for the inspiration …. now to find the time!! Oh my gosh, Becca. I could jump thru the computer and hug you! I have a tiny space where I do my “creating”- on top of my washer & dryer! from my embossing folders. I can see it all right where I have my cuttlebug, etc. So smart, Becca! You are perfectly right, if you don’t see it, it doesn’t get used. Great way to tell how things are going to look together. For the longest time I have been trying to figure out how I could create something with samples of all the embossing plates that I have and then file the plates in alphabetical order in a box out of the way. 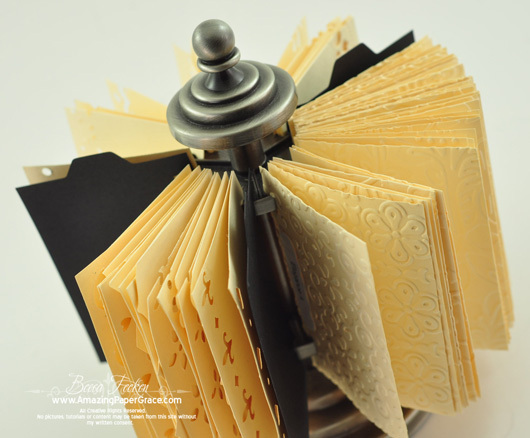 I just happen to have a 7 Gypsies Photo Carousel and an ATC Card Holder with extra cards, etc., that I never got around to using so I’m already set…..
What a wonderful idea and this is not the first time I have found a good idea from your ideas. I already fixed a book of all my punches like you did long ago and love it but I will be transferring all my border punches and Spellbinders border dies to this system as those are the most used ones and best to have a sample that is removable for trying on for size and leave those 15 year old punches in the book for a rainy day!!! I wonder how many ATC card holders will be taken apart now!!! I totally agree with you on the see it & use it concept! I’ve done that in my craft room and WOW…I’m using way more “STUFF” than ever before! If you ever get a chance to check out my “Show Me Your Craft Room” video, I think you’d see some similarities. I can only drool, I dont think we even sell it here in Australia LOL , and I dont buy online, I fear that I would go overboard as its too easy to sit here and surf the net shopping lol. That’s so cool. I love to see what new ideas you’ve come up with, thanks for sharing. YOU HAVE. THANK YOU FOR SHARING ALL OF THEM WITH US. This is really great Becca and looks awesome. i´ve never seen anything here like this holder, so I´ve done a simular system just in a rectangualr box with dividers between them too, and that works pretty well too, as I totally agree, it´s much easier, when you can visualize things. I´m all the same, when I´m working. Your idea is really great too hun. Always love your organizational ideas !!!! This is great for those of us that are very visual. 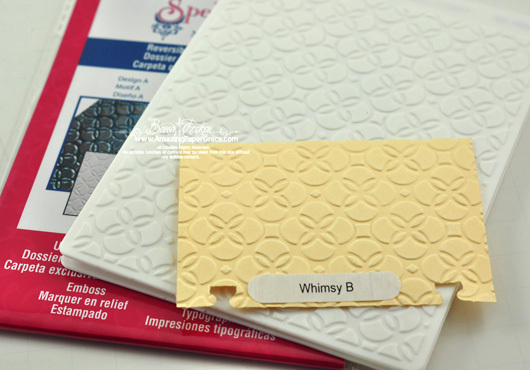 I have a similar method for embossing folders and it works great. But, I could really use this visual aid for the edgeabilities and insert dies as well. Thanks for this tip. A brilliant idea, thanks for sharing. Have to see if these are obtainable in the UK. OH BECCA! You never cease to Amaze me with your Brilliant Ideas. This One is just AWESOME. I LOVE IT. Thank you so much for everything you do and then share with us. I admire you so much. You are so right if you see it you will use it. What a great idea, you are always coming up with new ways to store things, and you are right if you see them you use them more, I will have to find some things to try and do like you. Great idea! I read somewhere that you can take the fabric off of a lampshade and you can clip things to it just like the expensive craft item that the sell. I need ideas on storing the dies. I like having the print out on the packaging but want faster access to using the dies. I have probably bought multiple objects to store the nesties but I haven’t decided to best way to do it. I think this is brilliant. Unfortunately I have a very small space so this isn’t practical for me. My solution is to have samples of everything, stamps, punches, dies, embossing folders, etc in photo albums. Not out in the open but I can easily pull out a sample and I find as I flip thru my albums it refreshes my memory of what I do have and I am using things more then I once did. this is just a terrific idea becca!!! i love my folders and use them all the time…but i often forget exactly what i have! so here they are, staring you right in the face! can’t wait to tackle this! Becca, once again you amaze me with such great projects — so cool! Fantastic idea but what we expect from such a fantastic lady!! You have to stay organized. I wish I lived near you so I could use some of your “stuff,” Sister. What a lovely piece of equipement and a wonderful way to store all your examples die and folders. I am using an index file box (its like a recipe box that business use for address info etc), it works just as well and as you say it makes everything so accessible and easy to look at. Thank you for sharing these fabulous tips for storage with us along with your lovely creations. That is awesome. I love it. 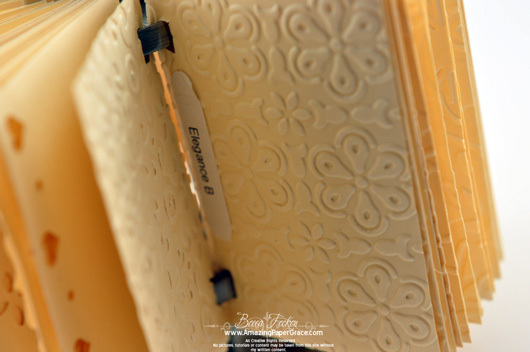 I have all my embossing folders in a Close to My Heart plastic case. But I do not have examples. I also have my Spellbinder dies in a case & my punches in two drawers. I love your idea & will have to use it. Thank you for sharing. I was just trying to get my work area organized and you have just gave me a great idea. Brillient Becca ! I love your idea, and I will follow your lead. I have wondered how to make each die, template, folder etc come alive. This will work great for ink, glitter, pencil, etc colors, too. Becca, thank you for that! What a fabulous idea! I am very visual seems more so as I have gotten older, er um… this is something that is definitely going on my to do list!! What a wonderful idea! I too am a visual person. If I see it I will try to use it. If it is in a drawer or in the closet I forget about having it and don’t utilize it! Wouldn’t be nice to have a stand bigger and make pockets to hold our dies? Of course this size is good for small dies. Yours is a great idea. Hi Becca, What a briljant idee. I hope i can find something like that in the netherlands. Following your blog for some time now end love your cards. Wow what a super idea… I am going to take advantage of this great tip. Becca………happy daylight savings day !!! What an awesome card…all the bows are gorgeous. Only you would have thought to use those MS punches to make that grid pattern. I’ll have to look at them in an entirely different way now. Reminds me of a stained glass window. What a brilliant idea Becca. I’m not sure we have a holder like that here in the UK, but will get about searching for one or something similar! Many thanks to you for your fabulous blog.